The Spanish dream for UK expats seems far from over. Leading UK and European moving company Nick’s Removals recently reported the number of UK to Spain moves and enquiries they have handled has been on the rise, with no sign of slowing down. Some news outlets have suggested the number of people moving to Spain from the UK has dropped, but insiders and experts have been quick to disagree. It seems the combination of low Spanish housing prices and the pound to euro exchange rate is increasing interest. A short plane journey and great weather have always made it a hotspot destination for people of all ages and walks of life. 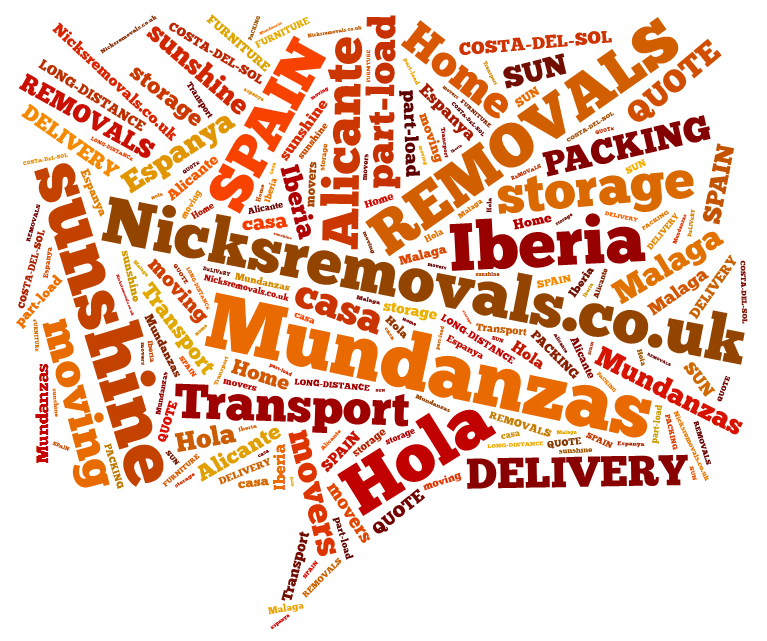 This is the opinion held by UK removal experts Nick’s Removals, who recently announced both the number of UK to Spain enquiries and actual moves have gone up in 2015 and show no signs of decreasing. The company is happy to offer the same low prices and customer-focused service that has built them a remarkable reputation in the removals industry. According to Nick, in addition to low property prices and an abundance of properties left after the housing crash. He feels other factors like the favorable exchange rate between pound and the Euro, and the cheap short flights from the UK to Spain has also encouraged these trends. handle any size moves, cars, boats and motor bikes and have some of the lowest UK to Spain removal rates in the world. The response from clients has been very enthusiastic. Helen C, from London, recently said, “I used Nick’s to move us from London to Barcelona. The experience was really wonderful. All of our possessions were delivered no problems at all and the price was wonderful. 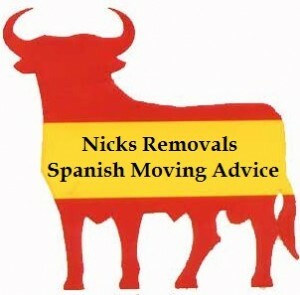 Five stars and fully recommended” removals to Spain from the UK are on the up. If you’re moving or retiring to Spain Here are some helpful tips from Nicks Removals to help you on the way to a successful move. So you have decided to move to Spain these tips will give guidance on the actual removal process. Moving to Spain can be exciting, overwhelming and hectic this is one time when you will need a good plan of action. So when we find ourselves in a position where we have to decide how to get our stuff from the UK to Spain, it’s often a process with worry and expense. Hence, the more planning and preparation we do, the more efficiently your Spanish move will go. do everything possible to reduce the amount of items you will be moving. Get the whole family involved in the checking and deciding what you are taking and what is going to charity, car boot or giving to family this will help you get your possessions organized and packed faster. Initially you can have two sections what is definitely going to Spain with you and what is definitely staying behind. Go through each room and decide what you definitely won’t need. It is a good idea to plan a carboot sale this will bring in some extra cash, donate to your local charity shops. An essential part of your preparation when you are getting ready to move out is to get rid of all unnecessary stuff. This way you’ll lower the total weight and cubic meters of belongings this will reduce the overall removal costs. Now you can de-clutter and remember Spain has the same or similar shop has the UK like Ikea! If the cost to move the furniture outweighs their value, consider leaving them and allotting the money to buying new when you arrive. Keep in mind that it is generally not worth taking your kitchen appliances due to different voltages and plugs in Spain. 2: Packing Boxes – If you’re doing your own packing now is the time to order removal boxes and packing materials. Boxes can be acquired from various places your removal company can supply them ask will they be added to the cost of the move. If you are sourcing your own boxes Argos click here sell home moving kits at reasonable prices. If you are doing your own packing its best to get started it can take quite a while to pack all your belongings and you may be surprised at the amount of boxes you end up with. Label your boxes with the contents and the room where they need to be placed this will save you time and energy when you come to unpack. When packing boxes for a Spanish move it is a good idea to place an itemized list of the contents inside the box. Good packing is important for a stress-free move. If you choose to do your own packing, it is important that you are familiar with packing methods that will best protect your possessions. Write on the outside of each box your name which your move was booked under and the full destination address of your new home in Spain. 3: Choosing a removal company – Make sure that the removal company you choose is insured and a registered company with address in the UK or Spain. When a removal company meets these requests, they are more suitable to meet with your requirements. Also check with friends or relatives who have made the move to Spain on any experiences they might have had with removal companies. Ask around for recommendations word of mouth is the best way to find a good Spain removal company. Once you have a short list of possibilities get at least three quotes. These can be acquired by telephone or email. When making enquiries by email make a template email with a breakdown of what you are taking this can be cut and pasted saving time. Ideally you would want a home visit to assess your load some companies will work of an inventory you supply. If you go down this route make sure to itemise everything that is being moved. Keep in mind that many European removal companies give quotes based in cubic meters, which may not be the kind of measurement you are used to dealing with. To make sure your move runs smoothly provide your removal company with as many details as you can. The date you wish to move and any flexibility (this can sometimes get you a discount) with pickup and delivery dates. Let them know if there are any access problems, parking restrictions or stairs, problems are best dealt with in advance and will be useful in the removal company planning your move. Any reputable removal company will offer moving insurance so check the cover they are offering but for any items of particular value it is best checking if they are covered. Also check if items are insured for breakages if you have done the packing yourself. If you don’t understand anything ask for precise and definite answers to questions. and get up early so you can organise the move. Try and have a friend or family member with you to help with pets, children and the tasks that will need to be done. Keep all important documents like passports, driving licenses, NIE numbers and Spanish solicitor’s number, etc. safe and take them with you. Prepare a box of essentials you will need on the first day at your new home and make sure they get unloaded first. Make a note for the new owners explaining where items such as the boiler switches, water stop tap are. A few kind pointers will go a long way when it comes to mail redirection and puts some kindness into the move. 5: Deliver day – Clear doors and passage ways for good unobstructed access for the removal men and wedge doors for a clear run. Consider where everything is to go in your new home prior to the removal van arriving if you know you can instruct porters where to place in your new home. This will save you a headache rearranging afterwards. Prepare parking for the van and make your neighbours aware so vehicles on the street can be parked elsewhere if needed. Have some food and energy drinks available for the removal men this will be appreciated especially if the weather is hot! Take time to rest, relax and have fun during moving in! Keep smiling and good luck! To make one life happening and full of excitement it is important that we adopt few changes in our life. These changes can be related to any matter such as personal or professional. Many people find these changes exciting and love to be a part of it but there are people who deny changes in their life and love to spend their life in the same old manner. The reason behind the changes can also be different for different people. Some people have to adopt changes due to the growth of their profession or business and some have to adopt changes due to some of their personal reason. Whatever be the reason but changes where one has to move from one place to another require careful planning. In this regard moving to Spain has become a good choice due to its warm climate, low cost of living and better employment chances. Before making the final decision of moving to Spain one should go for a trial holiday trip to Spain and find out its merit and demerit. As well as collect all the valuable information related to Spain that will further help to take an informed decision. By spending some quality times at Spain one can find out various facts such as potential residents that can be found in that place, schools and hospitals facility available so that one take proper decision on moving to Spain. Various other facts such as rules and regulation of the country which one has to abide while staying should be clear so that one do not find any difficulty after moving to Spain. Spain has become the most preferred destination due to various job and business opportunities as its economy is eighth largest in the world and it is still in the process of growing. Decision of moving to Spain is quite a tough one, as one has to do lots of planning before finally moving to Spain. Before moving to Spain one must decide on the profession or business you will get involved into. After deciding of the job the most difficult task left in this process is shifting ones entire belongings and possessions, which is impossible to carry out without the help of the removal company. These companies provide complete removal service so that their client is not faced with any kind of inconvenience. It is extremely important that every aspect of moving to Spain should be planned well in advance and one should planned for his every move in order to make sure that everything is carried out according to a set plan. Spain has become a good choice to emigrate due to its warm climate, low cost of living and better employment chances.